Despite increasing mental health promotion and advocacy, stigma persists and poses a significant threat to the healthy functioning at the macro and micro-sociological levels. Stigma is gradually evolving with the incorporation of broader social contexts at the micro and macro levels in which individuals, institutions and larger cultural constructs shape and influence the perception of what is different and therefore stigmatized. 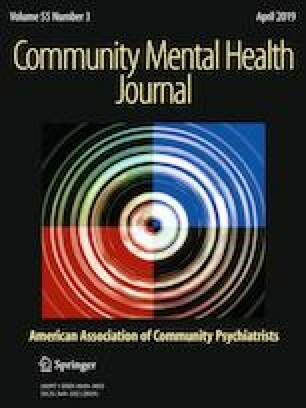 This theoretical paper based on literature underscores how mental health stigma discourages individuals from getting proper mental health treatment. The interface of mental illness, stigma, and mental health treatment has ethical and potentially moral implications. We have no conflict of interest to disclose and or acknowledge. NIMH. (2016). Any mental illness (AMI) among U.S. adults. Retrieved December 2016, from http://www.nimh.nih.gov/health/statistics/prevalence/any-mental-illness-ami-among-adults.shtml. SAMHSA. (2015). Racial/ethnic differences in mental health service use among adults. Retrieved June 2015, from https://www.samhsa.gov/data/sites/default/files/MHServicesUseAmongAdults/MHServicesUseAmongAdults.pdf. US Department of Health and Human Services, US Department of Education, & US Department of Justice. (2000). Report of the Surgeon General’s conference on children’s mental health: A national action agenda. Washington, DC: US Department of Health and Human Services. Retrieved November 2015, from http://www.ncbi.nlm.nih.gov/books/NBK44233/pdf/TOC.pdf. World Health Organization (WHO). (2001). The world health report 2001. Mental health: New understanding, new hope. Geneva, Switzerland: WHO. http://www.who.int/whr/2001/en/whr01_en.pdf?ua=1. Accessed Dec 2015.